With a dark exterior and electric mobility, this is the stealthy way to haul the family. 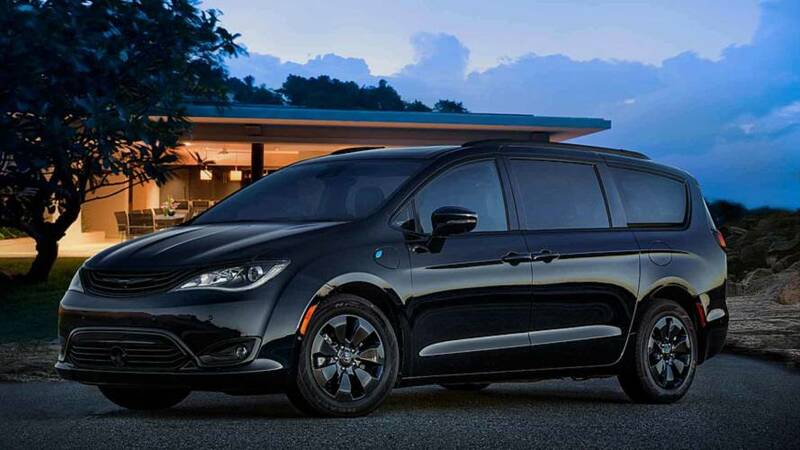 Chrysler launching a blacked-out S Appearance Package for the 2019 Pacifica Hybrid for the parents that to have the most diabolical looking minivan in the dropoff lane at school. The option will cost $595 and will arrive on the Pacifica Hybrid this fall. It'll give the hybrid minivan a perfect look for hauling the kids during Halloween. The S Appearance Package adds gloss black trim to the grille surround, headlight eyebrow accents, and rear bumper molding. The models ride on 18-inch wheels with what Chrysler calls a "Black Noise finish" – semi-gloss black might be a better description, though. The roof rails are black, too. The option is available with any paint color but would probably look best on a black or silver minivan. The package brings dark accents to the cabin, too. The black seats feature Light Diesel Gray trim and an S logo. The steering wheel also gets Light Diesel Gray stitching and Piano Black sections. Anodized Ice Cave – what an evocative name for a color – appears on the instrument panel and door trim. For a shadowy interior, the A-pillar, center console, overhead console, headliner, sun visors, and lighting bezels are black, too. The package doesn't affect the Pacifica Hybrid's powertrain. It continues to use a 3.6-liter V6 running on the Atkinson cycle. The hybrid powertrain consists of two electric motors and a 16-kilowatt-hour lithium-ion battery. In total, this setup produces 260 horsepower (194 kilowatts). The EPA rates the fuel economy at 84 mpge, and there are 33 miles (53 kilometers) of range solely on electric power. The S Appearance Package arrived the regular Pacifica last October (gallery above) and "has been wildly successful," according to Chrysler. Soon, hybrid buyers will be able to get the blacked-out look, too. The Chrysler Pacifica – the most awarded minivan of 2016 and 2017 – reinvents the minivan segment with an unprecedented level of functionality, versatility, technology and bold styling. The Pacifica Hybrid takes this revolutionary vehicle a step further with its class-exclusive, innovative plug-in hybrid powertrain. It’s the first electrified vehicle in the minivan segment, achieving 84 MPGe in electric-only mode, 33 miles of all-electric range and 566 miles of total range. 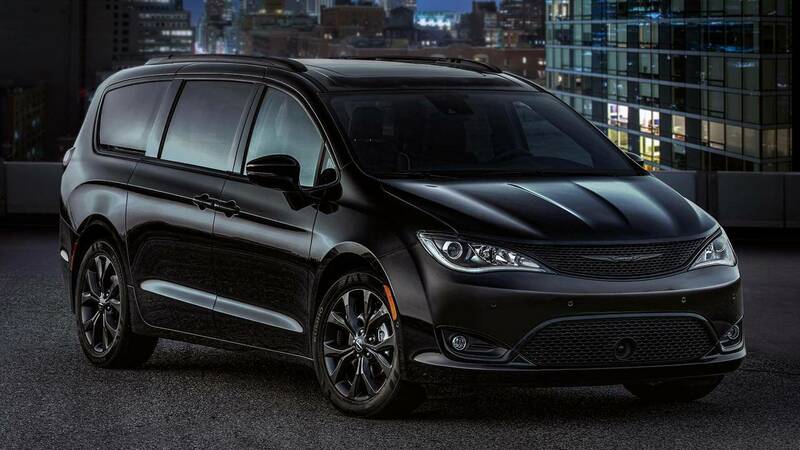 The Chrysler Pacifica continues to reinvent the minivan segment with an unprecedented level of functionality, versatility, technology and bold styling. The Pacifica Hybrid takes this revolutionary vehicle a step further with its class-exclusive, innovative plug-in hybrid powertrain. It’s the first electrified vehicle in the minivan segment and achieves 84 MPGe in electric-only mode, 33 miles of all-electric range and 566 miles of total range. The Chrysler 300 lineup delivers on the brand’s promise of iconic and elegant design executed with world-class performance, efficiency and quality – all at an attainable value. 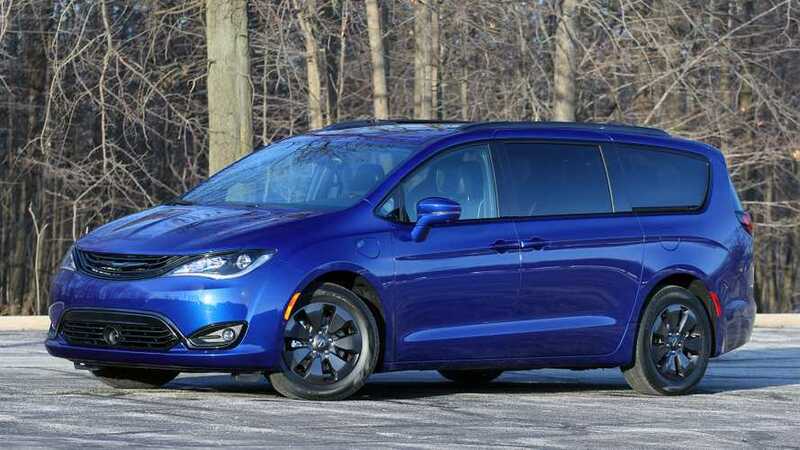 Beyond just exceptionally designed vehicles, the Chrysler brand has incorporated class-leading, high-tech features into its products, including the Uconnect 4 system with Apple CarPlay, Android Auto Uconnect Theater with available streaming, the plug-in hybrid powertrain in the Pacifica Hybrid, the industry-exclusive Stow 'n Go seating and storage system on the Pacifica, and the segment’s most advanced all-wheel-drive (AWD) system available on all Chrysler 300 V-6 models, as well as the most powerful V-8 in its class with the 5.7-liter HEMI® V-8 engine.